It’s time to register for the 2016 Father’s Day Ride! 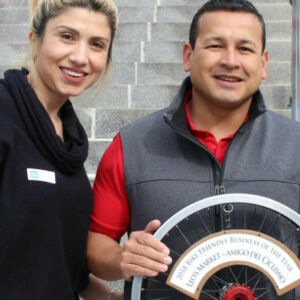 Bike Newport, the Newport County YMCA, Fort Adams Trust, and the RIDOT Highway Safety Program together announce the 2016 Elliot Kaminitz Father’s Day Ride, an annual family cycling event held at Fort Adams and along the scenic Newport Ocean Loop. 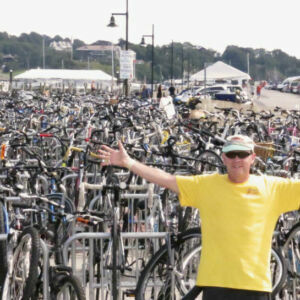 The annual ride honors Elliot Kaminitz, an active community member and safe cycling advocate who was killed while riding his bicycle in Newport. The ride delivers on the Kaminitz family wish to encourage more, better and safer cycling for everyone. 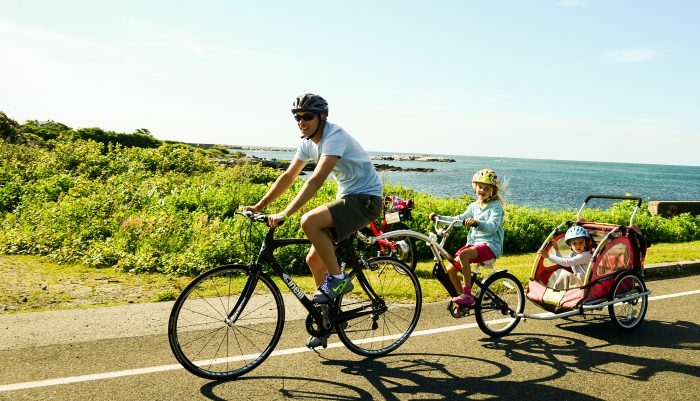 This year the Father’s Day Ride will be held on Sunday, June 19th at Fort Adams State Park. Participants can choose to ride 6, 10, or 25 miles. The 6-mile loop is marked with cones and escorted by the Newport Police – making it just right for families and first-timers. Participants can also choose a brisk two-mile walk around the park. Children can practice bike skills and rack up miles in the “Tour de Fort” – safely inside the Fort walls. 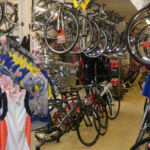 There will be refreshments, entertainment, yoga, massage, and plenty of bicycle happiness. 2016 brings new and exciting changes to the event. 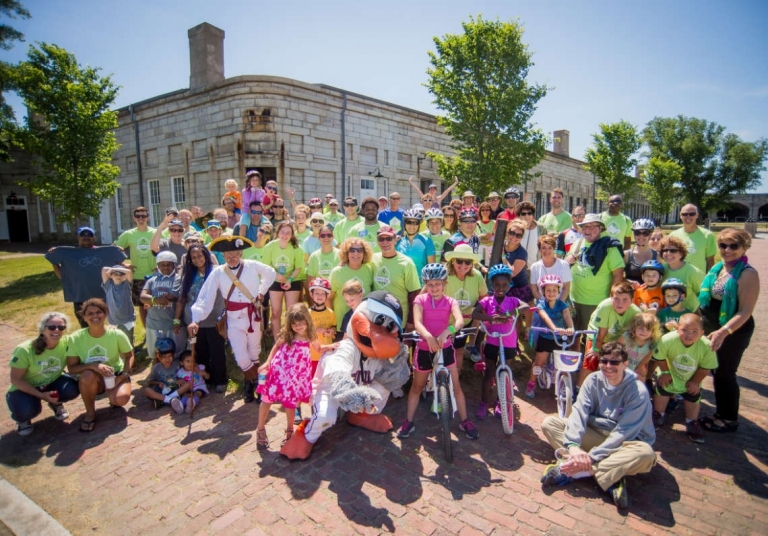 The YMCA of Newport County is joining Bike Newport as a partner to produce the event, and Fort Adams Trust is the generous host. 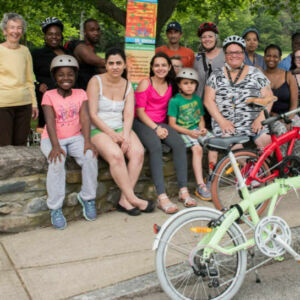 The partners are working together to bring more local families to beautiful Fort Adams and the Ocean Loop – with the promise that everyone who wants to ride, will ride. 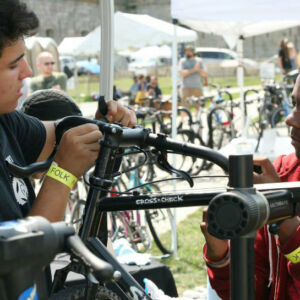 The YMCA will also operate busses to transport families and their bicycles to and from Fort Adams. And a fee waiver is available on the registration site to ensure that financial constraints do not deter participation. 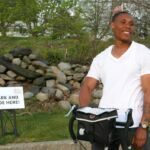 The Father’s Day Ride raises funds for bicycle safety education at Bike Newport and the YMCA of Newport County. Activities begin and end at Fort Adams and run from 8am to noon on June 19th. For more information, to register, and to support the event as a sponsor, please visit www.fathersdayride.org or email tracy@fathersdayride.org. Kneeling (l-r): Mary Ellen Lynch, Bike Newport Outreach Manager; Kellen Farnham, Bike Newport Development Director; Olivia Kachingwe, HEZ Project Coordinator; Tracy Jonsson, Father’s Day Ride Event Manager; and Joe Dias, Fort Adams Trust Exec Director. Standing (l-r): Miguel Sola, YMCA; Bill Villareal,YMCA; Gabrielle Abbate, Director, RIDOT Highway Safety; Greg Hall, Board President, Fort Adams Trust; Renee Kaminitz; Colleen Germain, Newport Superintendent of Schools; Bari Freeman, Bike Newport Exec Director; RI State Rep Lauren Carson; YMCA CEO Mike Miller; Henri Venable, Bike Newport Education Manager; and Chip Young, Bike Newport Board.